As a blogger we made a ton of contents regularly, Writing is not a big issue when you have some real knowledge on a topic. But building an well formed article is not an easy task for all. All you need to understand that topic deeply which you are writing on. After that you should build a structure which can build or grow interests in between all of your single paragraphs. 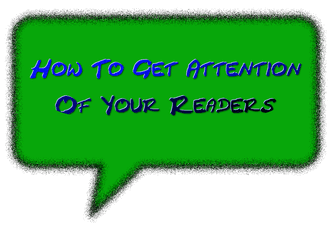 I recently found an awesome infographic which described all of this points to get attention of your readers when they start reading your articles.